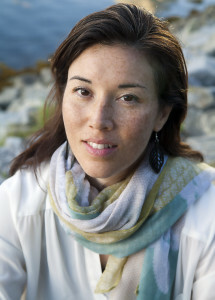 Dr. Melissa Carr is a registered Dr. of Traditional Chinese Medicine (TCM), in practice since 2001. Always interested in how the body works, how it fails, and how it heals, after graduating from the University of Guelph with a degree in kinesiology, she headed to Japan to do research at a medical university. It was there that she heard her first acupuncture story. Upon her return to Canada, she enrolled in her TCM studies in Vancouver, which included 3 months of internship at hospitals in China. What Dr. Carr has noticed is how much people want to be pain-free, healthier, and happier, but how challenging they find it to make the time. This is why she started her mobile acupuncture business—to send the qualified professional registered acupuncturist to you, saving you travel time. If you would like to see Dr. Carr in clinic, she offers acupuncture, Chinese herbs, supplements, nutrition, and biopuncture at Connect Health Centre for Integrative Medicine (604-733-4400) and Le Physique Personal Training (604-873-2255).